If you are determined to make the most of your singing talent then you’ll need to choose a singing teacher. Many people think they can coast on their natural ability, but even though you might be the best singer in your family, school or church this does not mean you are making the most of your voice. Only a professional singing teacher will be able to help you reach your singing goals and you need to choose the right singing teacher in order to be able to do that. This article will show you what to consider when choosing a singing teacher. The first thing to consider is whether you want the teacher to travel to you or you want to travel to where they are located. This will determine where you will search. Once you’ve designated the area you can start doing your search. Use websites like Gumtree, CraigsList and search engines to get a list of teachers to choose from. You can also visit your local music store as they often have a notice board with ads put up by different kinds of music teachers. Also remember to ask for recommendations from friends or local musicians. If you do speak to the teacher try to get a sense of what their personality is like, whether they seem strict or laid back. Try to think about what teaching style matches your learning style. Try to be objective, do you perform better when someone pushes you and holds you to a high standard or do you normally learn better when you are under less pressure? The most important thing is that you feel you can build up a fun and productive working relationship which will hopefully last a long time. You should have two or three potential teachers at this point and now will be the time to have a taster lesson or at least meet them in person. They’ll probably go through a few exercises with you to determine what your skill level is and explain what they want to work on with you and how they want to help you develop your abilities. The final thing to remember is that you need to keep a clear distinction in your mind between a good singer and a good teacher. Most good teachers should be good singers but not all good singers are necessarily good teachers. So be careful not to be too impressed by their singing ability, after all you are there to choose a singing teacher. We're a team dedicated to provide useful resources for learning musical instruments, such as guitar, piano, drums, dance, singing, etc. 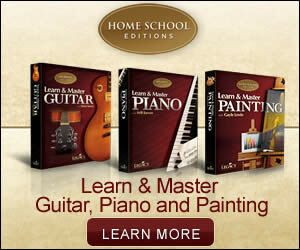 Our goal is to help our visitors learn these musical instruments easy and fast.